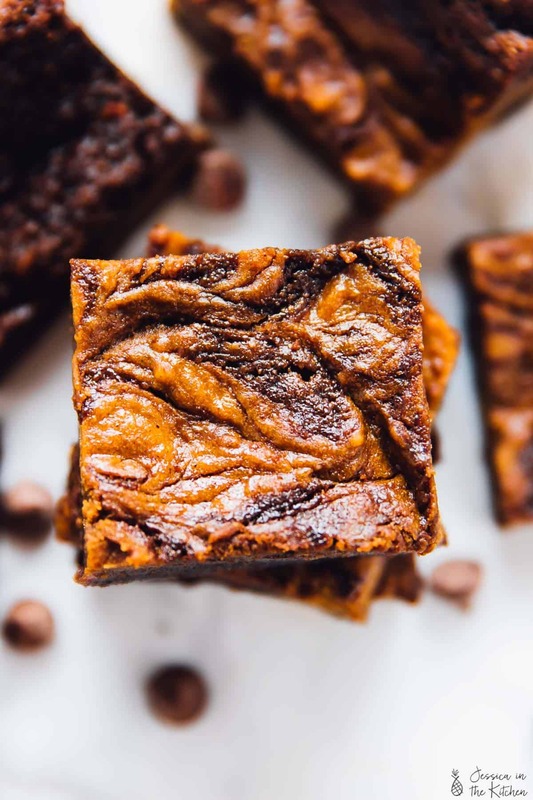 These Vegan Pumpkin Cheesecake Swirl Brownies will amaze your tastebuds and your guests!! They taste fantastic, are gluten free and are so easy to make! Two things before I dive into these divine brownies. 1) How is September over already?! I feel like it was just yesterday that I said Happy September to you guys and started the fall recipes party. 2) I have to admit – I’m reallyyyy looking to the next few months!! It’s about to be dessert heaven every week around here just so I can share amazing recipes with you guys. Lots of recipe testing will be going on. Oh the sacrifices I make 😉! 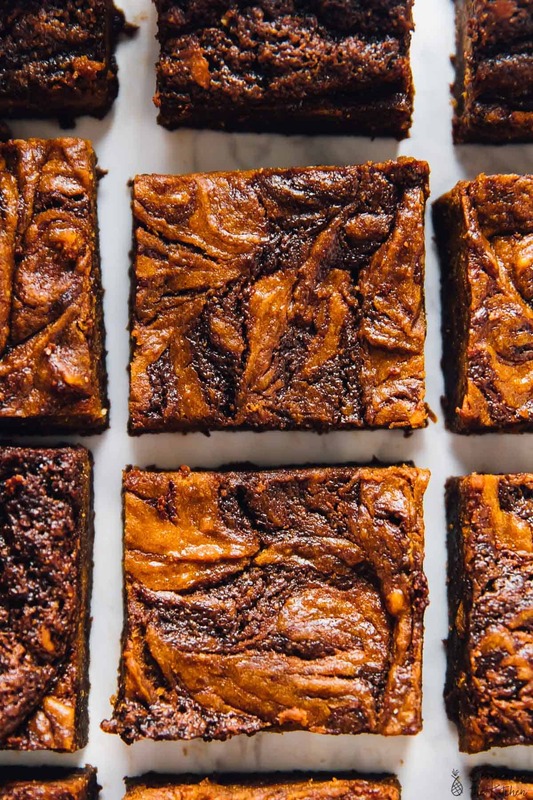 Now, right into these Vegan Pumpkin Cheesecake Swirl Brownies. Originally I was going to make these pumpkin swirl brownies but that just didn’t seem right. The word cheesecake simply completed them so I re-did the recipe and it made them 10x better. Get ready for these because they are bomb. I’m currently swooning over these photos. Looking at them reminds me of mouthwatering these brownies were. Quick story: I love brownies. 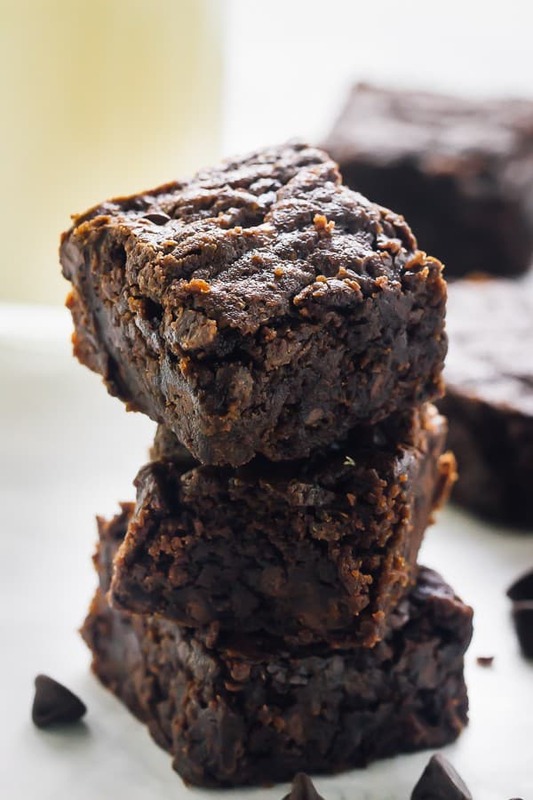 I’m a classic, chewy, fudgy brownie girl and when I ran my baking business they were always in the house. Since then I’ve switched things up, and tried vegan brownies , peppermint brownies and of course peanut butter brownies. Naturally, I fell in love all over again. 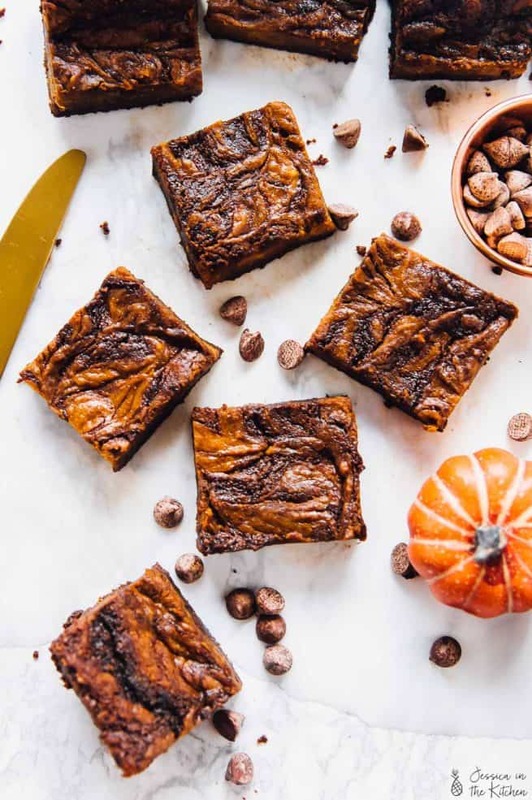 It’s been a while since I’ve made a new brownie recipe, and knew I just had to make something fall themed. Naturally, pumpkin themed came to mind but I wanted them to be AMAZING. I searched through some of my old recipes and bam! The idea came to me for these pumpkin cheesecake swirl brownies. I have to warn you: you WILL eat more than one of these. 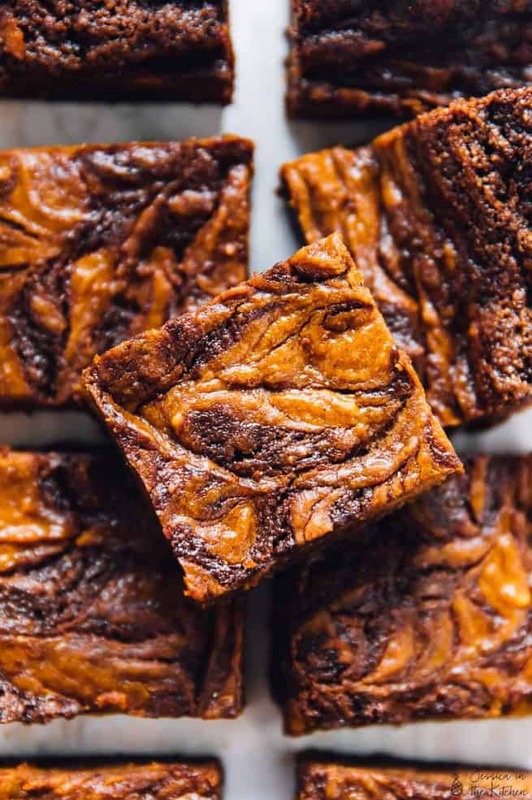 The pumpkin cheesecake swirl throughout these pumpkin cheesecake swirl brownies is magical stuff. I wanted the brownies to be basically half cheesecake half brownies and definitely succeeded with these. Within each bite you get a bit of both, plus that gorgeous colour. The trick with swirling is to not over do it. The first time I made these my swirl was PERFECT and I maybe got excited this time and went crazy with it. No worries because swirls are pretty much always gorgeous, and always, always delicious. 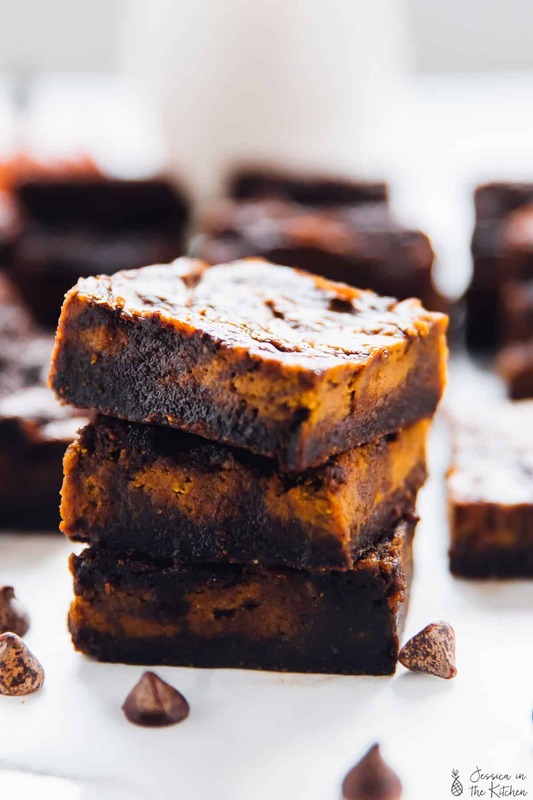 After you bake these pumpkin cheesecake swirl brownies, you let them rest in the fridge until chilled due to the cheesecake factor. I love having mine cold since they still have that melt in your mouth effect, and consequently definitely store mine in the fridge. 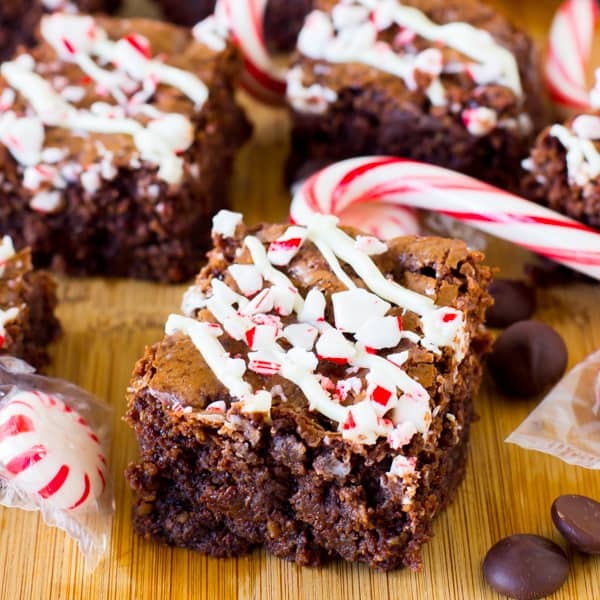 If you’re a warm brownie type of gal or guy, these taste fantastic that way too. Tomato, tomato. Eat these up and let me know what you think!! Oh, and call your friends before you’ve tasted one to let them know you’re going to share. Otherwise, there’s a good choice you won’t want to share these little bites of heaven. Just saying. Preheat oven to 325 degrees. Grease and prepare the brownie pan and set it aside. In a bowl, mix the pumpkin cheesecake swirl ingredients together until mixed thoroughly. Set aside. 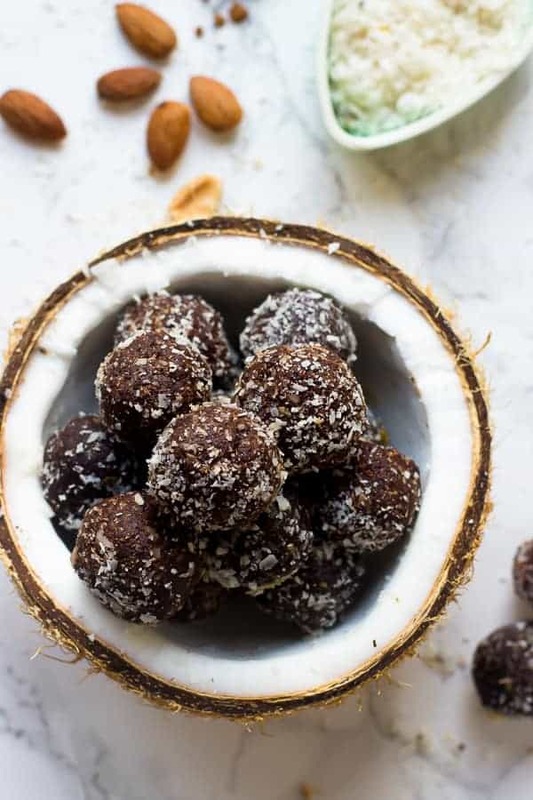 In a separate bowl, add the flax eggs or egg replacement, coconut sugar and coconut oil and mix until combined for about 2 minutes. Add the water and the vanilla extract. Add to the dry mixture to the wet mixture and melted chocolate chips and stir for about 3 minutes until combined. Pour into a greased, parchment lined, or a greased foil-lined 8x8 square pan. Dollop the pumpkin cheesecake swirl mixture on top of the brownies. I like to do it in huge circles that don't touch all over the batter, then slowly using a knife, swirl left to right from top to bottom through the batter, up and down from right to left to get the swirl through the whole batter. Don't over do it or you'll just get a muddle. Bake for 45 minutes. The centre might still be a bit wobbly. When finished, remove from oven carefully and allow to cool completely until room temperature, then place into fridge for at least two hours. It's also easier to cut once cold. Slice, serve and enjoy! Store these brownies in the fridge because of the cheesecake part. What brand of vegan cream cheese do you use? Check out kite hill cream cheese! I hope that helps! Daiya also has one! Going to make these today, I will report back! I hope you enjoy Ken! !